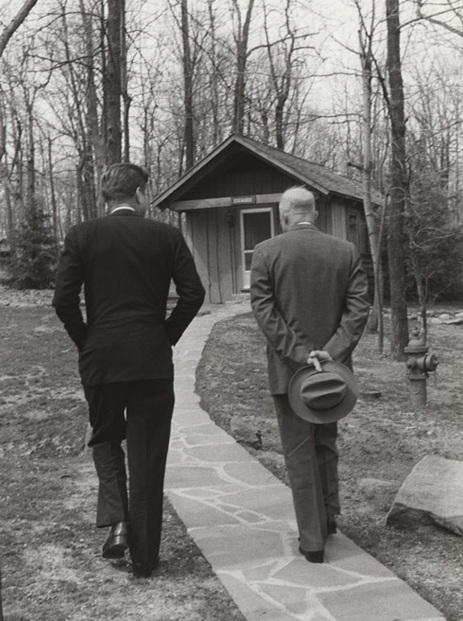 Both of these photos of John Kennedy and Dwight Eisenhower were taken at Camp David in April 1961, just after the Bay of Pigs Invasion. The confidence levels of the then current, younger and inexperienced President and his older, experienced and finally responsibility-free predecessor are conveyed by their arm and hand positions. Kennedy has at least one hand in his pocket (perhaps both in the image above). This is a low confidence signal. 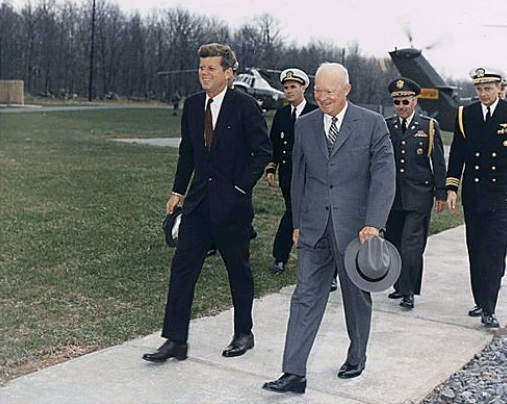 Eisenhower's hands are not hidden and he's walking in the high confidence, hands-loosely-held-behind-the-back configuration exampled above.